Golda Meir rarely passed up an opportunity to warn about the allure of “lies wrapped up in sweet words.” She knew that shallowness offers smug refuge from the intractable and that syrupy slogans are a convenient copout for the intellectually indolent. US President Barack Obama probably knows the same which is perhaps why he laid the blarney on so thick in his recent interview with The Atlantic‘s Jeffrey Goldberg, who himself couldn’t have been more cloying. It’s undeniably in Obama’s interest to sweet-talk American Jews – whom he must perceive mostly as sycophant dilettantes – into trusting that some of his best friends are Jews. Obviously we may all expect unkind comeuppance for having insubordinately reelected the PM Obama hates. Let’s not forget: Obama did his darndest to defeat Netanyahu, thereby impudently and imperiously interfering in the domestic politics of a fellow democracy. But all that was liberally sugarcoated in The Atlantic. Reading Goldberg’s full fawning commentary, followed by the treacly transcript of his conversation with Obama became a true test of intestinal fortitude – not recommended for anyone with a queasy disposition. There were more statistics from the objective interviewer, who remarked that Israel is “a 61/59 country right now.” Subtext: Netanyahu isn’t all that convincingly the people’s choice. Our bosom bud in the White House not only loves us but he also knows what’s best for us – way better than we conceivably can. Hence he wishes to get our internal political debate “back on a path where there’s some semblance of hope and not simply fear, because it feels to me as if… all we are talking about is based from fear.” And here we get a major influx of Obamaesque slogans for the thinking-shy masses. Inspired by “Israel’s traditions and its values—its founding principles,” Obama waxed nostalgic about his stage-managed visit to our backwoods in 2013. The above threat is near-identical with what Obama declaimed two years ago in Jerusalem. Both he and Goldberg, though, omitted mention of the fact that Obama’s local audience consisted of left-wing students who were scrupulously sifted a priori. It was anything but a representative sample of the Israeli aggregate. The screening process assured Obama of a friendly if bogus forum. Beside the affectation of straight-talking to the commoners, it’s obvious why the Knesset was a far less desirable option for his purposes. At least some of our parliamentarians weren’t likely to obsequiously acquiesce to the sham. Obama’s crude one-dimensional depiction might have sufficed to sway American know-nothing liberals, but Israelis should have at least experienced acute nausea. Did Israel prevent the establishment of a Palestinian state? Did the so-called Palestinians not violently reject the UN Partition plan of 1947 geared to set up both Jewish and Arab states in this land? Did the Arab world not launch a bloody war to destroy the day-old Jewish state? Was their purpose to found a Palestinian state or to obliterate the Jewish state? Why did Obama’s tendentious ramble include no reference to the repeated Arab onslaughts on Israel? And why on earth was that purportedly coveted Palestinian state not created between 1948 and 1967 when Arabs held all the territory now piteously squawked about? Who impeded Palestinian self-determination for 19 whole years? The absence of any causality leads to outright distortion. Whenever historical background is opportunely deleted, deep suspicions must arise. Endearing as Obama occasionally strives to be – when political needs so mandate – he twists and warps the truth. By dramatically reiterating Palestinian propaganda, divorced conveniently from any perspective, Obama misrepresents our reality. We Israelis, at least, mustn’t become gullible saps. All of us know full well that until terror was unleashed in our streets, Arabs from the so-called occupied territories entered Israel utterly unhindered every day. No roadblocks or checkpoints interfered with anyone’s routine. Things only changed when buses started exploding here, when going to the supermarket or school became perilous, when family outings could mean gruesome carnage. But did Obama appraise Palestinian inconvenience versus Israeli lives? He knows why things are the way they are. He knows that Mahmoud Abbas’s schools, media and mosques all glorify mass-murderers and incite to hate. By pretending not to be aware, Obama proves himself disingenuous in the extreme. Really? The adamant refusal to at all recognize the legitimacy of a Jewish state betrays the perception of Israel as a temporary de facto entity to be Arabized in future via inundation by millions of hostile “repatriated refugees.” This doesn’t betoken peace but another route to our destruction. And who does Abbas speak for? He has lost Gaza. He’s now into his eleventh year of a four-year term and postures only because Israel props him up. He is as much a peace partner as an effigy of our making would be. Yet, with ostensible high-mindedness, Obama felt free to tell his handpicked Israeli audience to override their democracy: “political leaders will not take risks if the people do not demand that they do. You must create the change that you want to see.” Needless to stress, the risks are to the people’s continued survival. Obama’s message couldn’t have been more transparent. Without much ado he urged Israeli students to go up against Israel’s elected leadership. He serially forgets that Meretz, whose platform Obama appears to ardently endorse, was repeatedly relegated to the opposition as a fringe Knesset faction. By going over the head of Israel’s government, Obama disrespected if not disparaged our democracy during his visit. 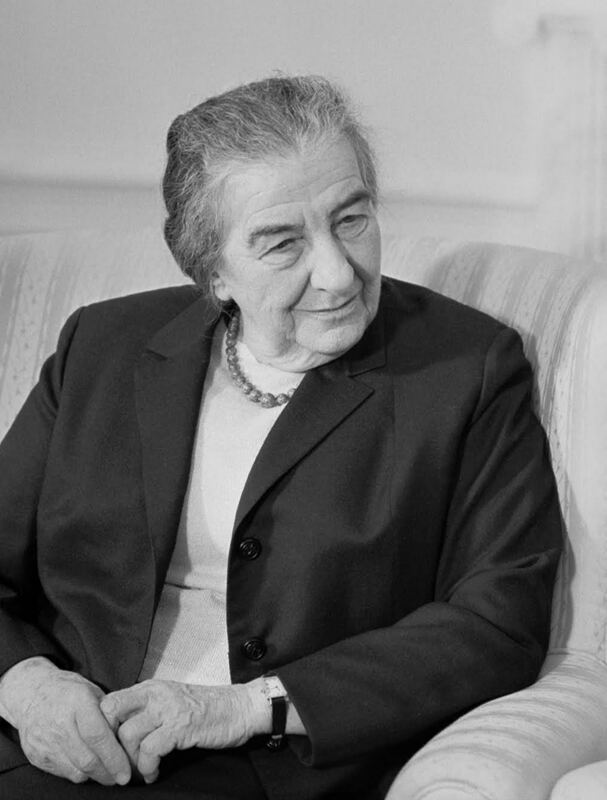 Here’s where Obama gets lucky – he’s so lucky he never encountered the formidable Golda. She didn’t gladly suffer hypocrites. She’d have sent him and his honeyed blandishments packing and tossed his two-state mantra out the window. As always, another Masterful description and analysis of who and what Obama represents. Does Sarah Honig ever miss a single beat or the absolutely perfect turn of phrase. Elected the first time because the “masses” yearned for “Change”, fell for the “speil” delivered with a Silver Tongue, and finally –because having the Former Governor of Alaska just one heartbeat away from the Red Button was simply too big a risk to take. Elected the second time no longer for any disillusions of “Hope”, but simply because the alternative candidates were so completely unacceptable. Candidate Romney “Parking” millions in Secret bank accounts in the Cayman Islands ?? Please- after all there are limits. Obama becomes more desperate every day, as his clock is winding down, to be able to say that it was he that brought about a so-called “Two State Solution” and “Peace” to the Middle East. Never mind that the entire Middle East is imploding all around the only Democracy in the region. Never mind that the Isis juggernaut is expanding like an out of control Cancer everywhere and whole cities and armies are being crushed under it and burned like so much terrorized fodder. As all throughout history, when there are problems, when one needs a hook on which to hang his shabby hat, when one needs a ready scape goat to divert attention from himself and the real problems and issues: There is always “the Jews” and since 1948, the State of Israel, to blame for all that is wrong in the world. Never mind that a so-called, misnamed “Palestinian” has more Civil Rights and more chance of making a better life for himself and his children in the State of Israel than virtually anywhere else in the Middle East. None of that matters. Israel is still the cause of all the problems. Israel is still the “Bad Guy”. Always was, always will be. And playing out his sad history, his basically failed Presidency, his clearly failed attempt at earning another Nobel Prize for succeeding at what all his predecessors failed to achieve, we have Mr. Obama, arms and Silver Tongue now desperately flailing in the wind, trying to shore up his non–existent “Legacy”. With the help of all his back room Spin Masters and toadying, sycophantic, groupie, pencil pushers in the Press and “Media”, we see him for what he actually and really is. The former Chicago Neighborhood “Organizer” who loved the sound of his own voice just a little too much and who over-reached way, way, too far. I wonder who President Lincoln was thinking about and gazing at in his proverbial Crystal Ball ? No, he doesn’t expect Israel to negotiate with anyone dedicated to its destruction. He expects Israel to capitulate, acquiesce to and cooperate in its own destruction.H He bloody well knows abbas is NOT a “partner” of any sort. Abbas himself has made it abundantly clear but it doesn’t fit the “great leader’s” narrative or agenda so let’s ignore the arab agenda since 1947. Sarah, your insight iinto ‘Obama’s “Lies wrapped up in sweet words” as Israel’s iconic great PM Golda Meir would so prophetically profess. Certainly ‘falls into line’. with his ‘narcissistic individual selfy’ and political history. His ‘God given ‘talent’ of a ‘convincing voice and rhetoric’ has lulled the uninformed ‘traditional leftist Jews’ who continue to cling onto their past shortsighted beliefs, only to find themselves ‘fawning’ to the ‘lies, innuendos and to the lack of historical past facts by the sly cunning smooth character of Barak Obama. One only needs to research Obama’s past and current political associations to become aware of the necessity to mentally ‘shut down’ the ‘Con-Man’ that he is, and always has been. Tony Rezko: ‘Fixer’ real estate developer. The list is much longer, but does one need more negative evidence of the ‘So Called Leadership’ of Barak Obama, representing America in the White House for Eight Years??? How very sad for American Jewishs voters to have helped Barak Obama ‘promote his agenda of both a clandestine and overt show of ‘Hate for the state of Israel, and Jews to be included’ during his all powerful presidency of the United States of America? Your writing is truly a joy to read, thank you Sarah, you are gifted. Obama & Goldberg are really two sugarcoated sweethearts…I DESPISE them ! In 19 months from now, the ILLEGAL occupant of the White House will be nothing more than a past NIGHTMARE, in the meantime Israel must stay it’s course. I just wonder, why so many weak minded lackeys are obsessed with KOWTOWING to Americas worst president ever. Thank you so much Sarah, for debunking again Israels most dangerous ENEMY !!!!!! Thanks a lot for once again provoking my “upchuck reflexes”. And yet we might be better off with Obama. With Romney or McCain, it would be Death by a Thousand Cuts. A complete lack of knowledge and understanding of our enemies and Islam in particular. A further and prolonged brainwashing of the populace. RINOs, Republicans In Name Only. With Obama, people are finding out relatively early what foul betrayal is. With Obama, its like sticking your hand in the fire and getting burned right away. Here we have a mortal enemy becoming more obvious for all to see. Yes, Obama might “come to our rescue” in a war, but he would only do so after carefully timed delay to the purpose of great destruction with the objective of when he finally steps in, he makes himself seem a hero by “saving” a mortally wounded Israel with the intent of making her a vassal state. Real cute this Obama, his supporters and his chosen company. Perverse, yes. Real sharp, the [temporarily] useful idiots who support him. Those useful idiots of today, when they are seen to be finally figuring out the foul betrayal, and then start to scream, they will be the first to go, one way or the other. Excellent as always Sarah, and most appreciated. To see what Obama would actually do, for those who still look for some shred of integrity from him, look at how he failed to achieve a status of forces agreement with Nouri al-Maliki, that led to the creation of ISIS. Look at how he’s bowed to Iran, and made it so much easier for them to get nuclear weapons. Israel will now probably have to fight ISIS, and strike Iran, sooner than later, courtesy of Obama. He also put details of Israel’s defenses on the US Dept. of Defense web site, and betrayed details of Israel’s fly-over agreement with Azerbaijan. This is how Obama “has Israel’s back.” Golda Meir? She wouldn’t have let him into Israel. The RINOs would be clueless if not also hostile. ISIS would still form. There is no “achievement of status” with Islam, only taqqiya, kitman, and hudnas. Iran’s nuclear program would still proceed at all costs to the purpose of our destruction. I have considered each of your points to the end of your comment. I do not agree with your arguments. I shant speak of all my reasons why. I am on the other hand in vehement agreement with your conclusion that Obama (and company) is our mortal enemy and that of western civilization in general. Golda Meir? I will agree with you on the essence of your point there as well. In Sarah’s words, Obama “must perceive American Jews as sycophant dillettantes,” with good reason. Referring to Obama’s failure to mention Israel, when on January 15, 2010, he thanked six nations for their support of Haiti(for the earthquake that devastated that country on January 12, 2010); an article by Ron Kampeas, of JTA, titled “Obama’s latest wooing of Jews not working,” (6/12/2015, Jewish Journal) states that “…the President’s statement was made before Israeli relief crews landed in the country.” Not true. Israeli relief crews were on the way to Haiti on January 13, the day after the quake, and landed there late that same day, and on Jan. 14th. Obviously, Obama snubbed Israel, and just as obviously, he has a big problem with Israel. American Jews need to face that. However, the article also says that 56 percent of American Jews still support Obama.